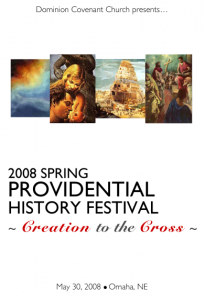 This Festival focused on history from the Dawn of Creation to the Cross of Christ. It featured: speeches on Ancient Egypt, the Chinese Language, Ptolemy II, Antiochus II, Paleolithic Cultures, Ahab, and Alexander the ‘Great’; dramas on Ruth, David and Goliath, and Shepherding; and table displays on Nebuchadnezzar, the Walls of Jericho, Archaeology from the Time of Christ, and Women in the Line of Christ. Click here to view the pdf that includes bibliographies for further study. 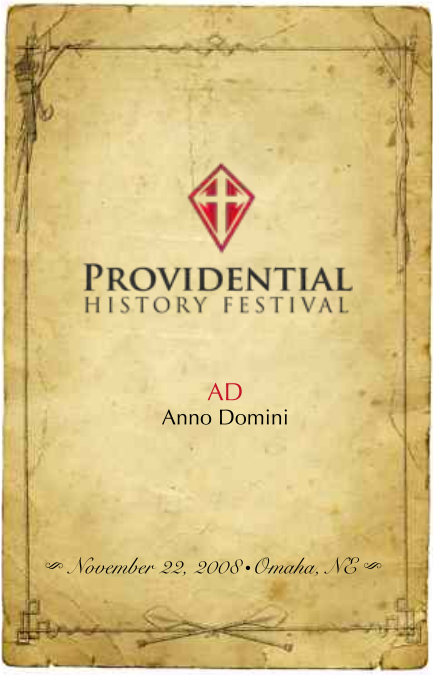 As the Festival matures it grows, having doubled the number of presentations. 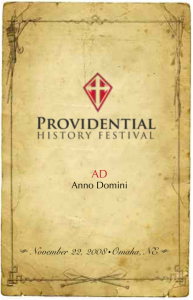 The third Festival featured: speeches on Paul’s Journey to Rome, Pocahontas, the Role of Heresies, the Gospel in Ethiopia, the 30 Years War, the Persian Gulf War, the Titanic, and King Alfred; dramas on George Washington, True Womanhood, and Martin Luther; and table displays on Amy Carmichael, Squanto, the Founding Fathers, and Hymn Writers.